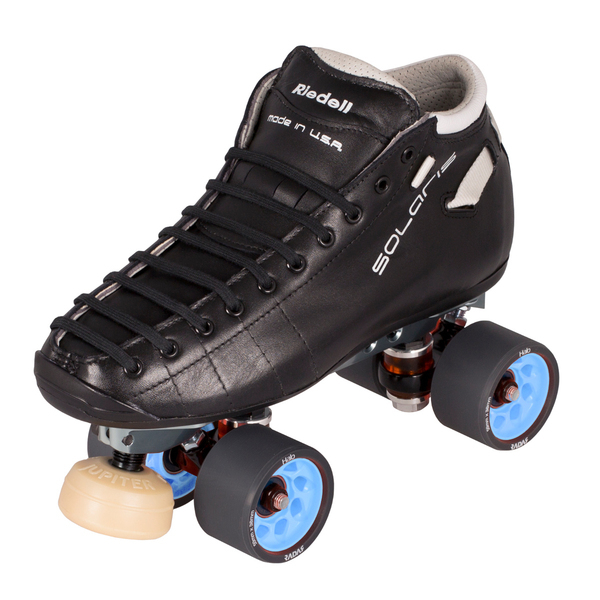 Cutting-edge, high-end boot from RIEDELL with Reactor Pro plate and Halo wheels. This setup comes with the POWERDYNE Reactor Pro plate. It is made of extruded aircraft aluminium which is extremely sturdy and lightweight. This plate will come standard with 10-degree kingpins and cold-forged, black anodized solid aluminum trucks with fine threaded adjustable pivot arms. The plate is really flat which means that you have a lower center of gravity. This ensures a perfectly controlled driving stability. Attention! The picture show pink Halo wheels (93A), but the skate will be shipped with blue Halo wheels (95A).